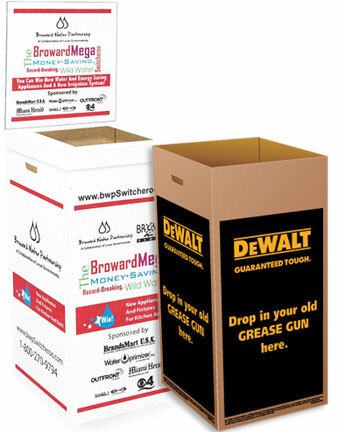 We will custom print your logo on our boxes and/or lids. We do not print 4 color process, graphic art should be sent as a black and white file, no matter what color it will be printed. To get a custom quote please send your image (we prefer in Illustrator, but send what you have) to boxes@keeptidy.com or thornjo@yahoo.com. Include the following information: 1) how many boxes do you want and what is the size?, 2) how many sides do you want your image on?, 3) do you want any lids at all (we have from trash to recycle lids), 4) give us your shipping city and zip code, 5) if there are any deadlines we need to know this right up front. We will send you a mock-up of what it looks like and a quote. • This is a rehab program for State of Florida Corrections. 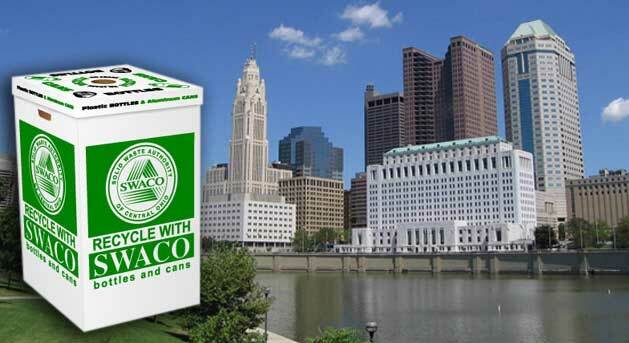 Municipalities use KeepTidy custom boxes.